What is Quick Files? 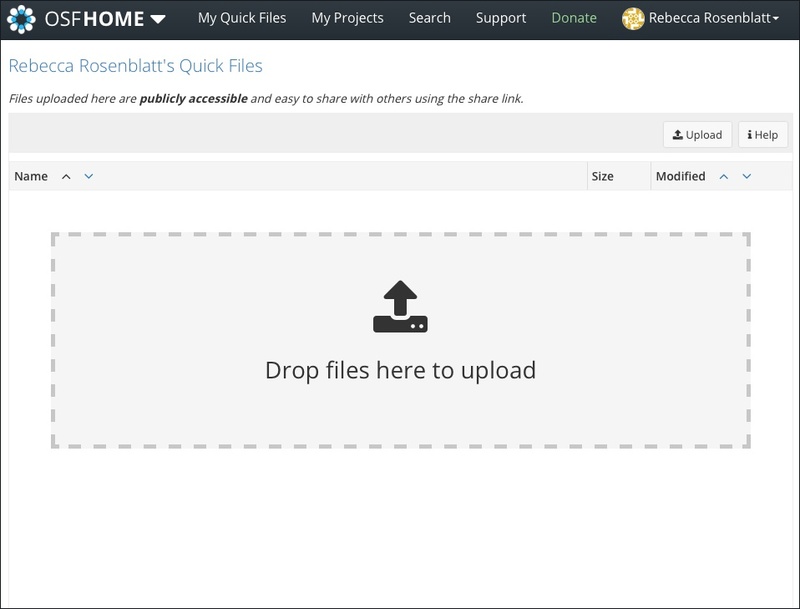 Quick Files is a new feature that allows you to share files independently from a project. 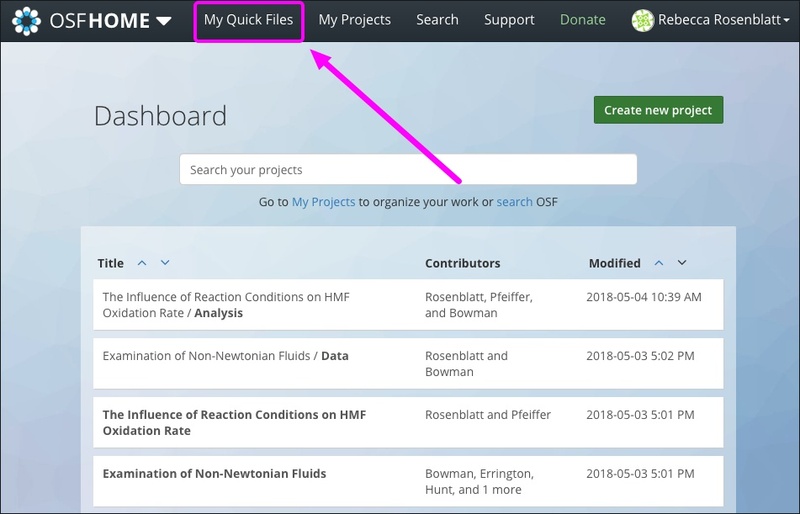 All files uploaded as Quick Files will be publicly available on your OSF profile page and discoverable by others. Multiple-file uploads are not currently supported for Quick Files. Files must be uploaded one-at-a-time. 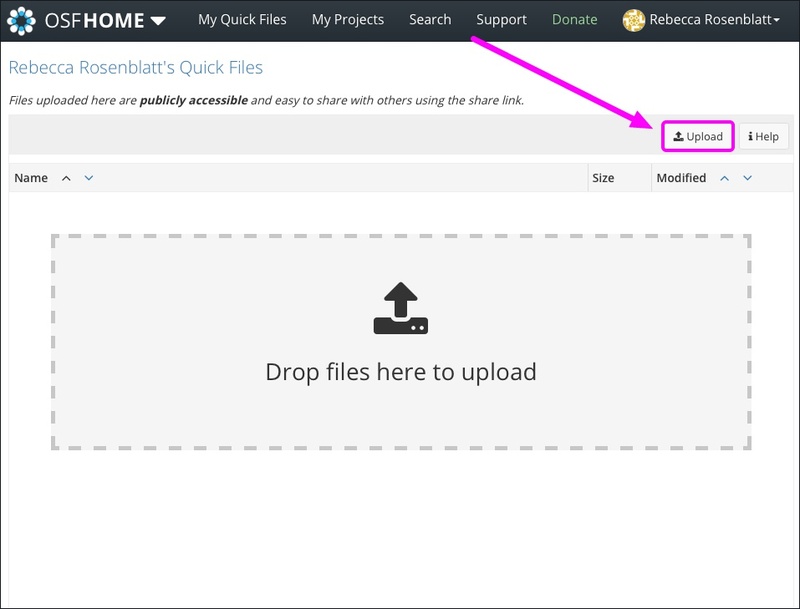 First, click the My Quick Files tab in the navigation bar to go to your Quick Files. Click the Upload button in the toolbar, then select a file from a dialog box. Or, drag and drop a file from your computer into the upload zone. 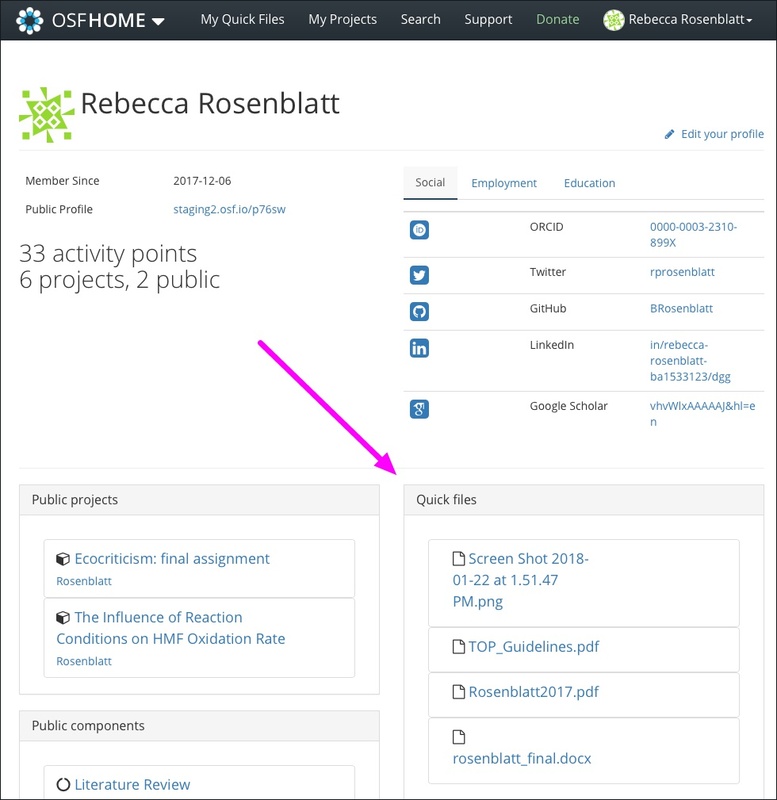 Your files will be uploaded and made publicly available in search and on your OSF profile page.